This is the final post (for the time being) about apps that have been recommended that can be used to support people with dementia. First of all I want to say that I have not tried any of these apps yet with my mother, as I returned to India at the end of July for our new school year. Rather than wait until Christmas to try them and write about them, I decided to do some research about what the apps offered. I can try them out with mum the next time I'm in the UK, and then add further comments. 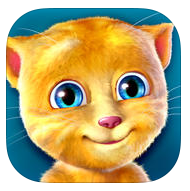 Two apps that are very similar are Talking Tom and Talking Ginger. 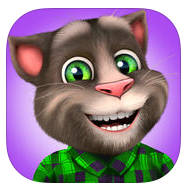 Tom and Ginger are both cats - the app gives you a virtual pet who will repeat things back to you. You can stroke them, poke them, tickle them and so on. You can dress them up and play mini-games with them. You can also record videos of the cats and send them or post them onto Facebook and YouTube. These apps might appeal to people with dementia who have had to give up a pet in order to move to a care home. Both these apps are free, though there are in-app purchases. 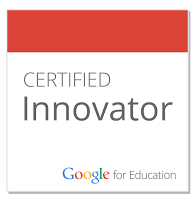 Another app that was recommended was Let's Create! Pottery. Here you make pottery by throwing clay on a virtual wheel and create a collection of pots in different shapes and sizes. You can paint, glaze and fire your pots and then post them online in the gallery. 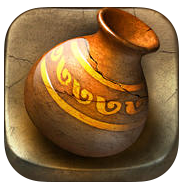 It's also possible to convert your designs into real pots as you can create and 3D print pots and order them through the app. . This may well appeal to people with demential who are interested in creative activities. This is a paid app (it cost £3.99). The video below gives a good overview of this app. Finally an app I really want to explore is CleverMind. This voice activated app has been specifically designed for people living with dementia and it includes cognitive training tools such as games and puzzles. Unfortunately I have not been able to download this app as it is not available on the UK AppStore. The iPad app was created by Glenn Palumbo when his father developed Alzheimer's. The idea is that by training your brain through solving puzzles will lead to positive effects including the building up of neural pathways. The app also contains food and nutrition tools and medical information. There's also a CleverMind website that contains recent brain research news articles.